I slowly moved my chair trying to stand up and hit the road. It was extremely hot outside the Lebitso Mosito patio. Mr T, just stood up, grabbed his glass and headed towards the door. He turned around and realised that Milano wasn’t following him nor planning to. PT: Heela morena, I’m waiting for you. Nna: Bae, it’s fine. I should probably leave. Just go talk to your brother. PT: Your girlfriend is right. Let her go. You and I have some serious discussing to do. Now Lesego! Milano: No abuti! We need to deal with this together. Obonolo is not going any where. Whatever we need to discuss, she’s part of it. Just sit down and relax. We are going to answer all your questions and explain everything. 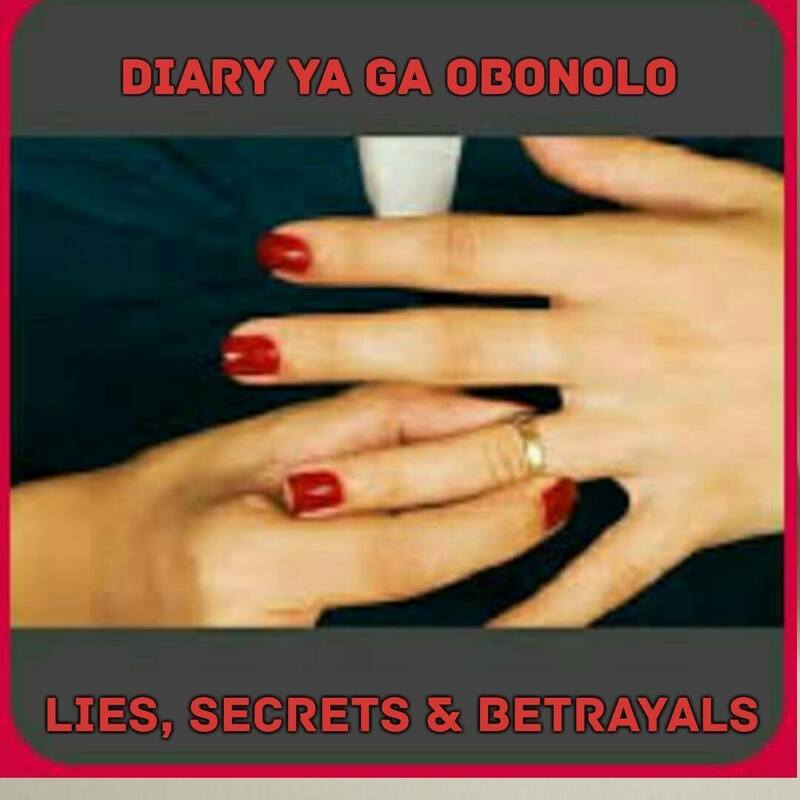 Just so you are clear, Obonolo knows everything about abuti Torry and the Gold Digger. PT: Are you out of your freakin’ mind Lesego? I think this relationship of yours has gotten too much into your mind and now you can’t think and focus. Geez! What is it that Obonolo doesn’t know? Tell me? Cos I really don’t like the sound of this. There’s a lot riding on this and I don’t like where it’s all heading to. Not one bit. Nna: Rest assured Mr T. Obonolo knows what type of a beast Gold Digger is. And nothing would please me more to see justice prevail. If only you can trust me enough and get to understand my life story and know what I have been through because of my own brother in law Nyiko Baloye. Right now let me leave the two of you to talk. I stood up and grabbed my handbag. Both Milano and PT looking so shocked. Milano tried to stop me but I told him that I really got to go. I then extended my hand to PT and told him that it was such an honour to have met him and be welcomed in his lovely home. I walked around the table, kissed Milano on his forehead and told him that I loved him and that I will call him when I get home. Nna: Gentlemen, it’s been a long day. You have an early morning. Travel safe and speedy recovery to Ntate Tshepo. Oh and Mr T, if you are serious about getting justice for the cruel murder of your twin brother Torino Thatoyaone aka TT Mosito, feel free to ask Milano for my numbers and let’s talk. Who knows, maybe I could be helpful. Goodnight! Milano and I walked to my car in silence. I got inside and as I turn on the engine, Milano put his hand on top of mine and said he was sorry about how the conversation went and promised me that everything will be fine. He said he will see me Sunday afternoon. He further said that his brother was probably shocked and would come around eventually. I nodded and drove home. When I parked my car in the garage it was nine forty five. I just dialled Tankiso’s numbers. The phone rang unanswered. I tried again as I get inside the house. Just as I hang up, my phone rang. As I pick up, Reatli responded in a sleepy voice. I apologised for waking her up. She said she only been asleep for less than an hour. I went straight to the reason for my call. Gave her that name she requested. I purposely gave her one surname and two different initials. She said she would have to go to the storage room and check on her hidden laptop. So she will either call back or just sms. We hung up immediately afterwards. Mamo was still wide awake watching Africa magic movies . I greeted her and went upstairs, checked the twins. Nxoooo my babies were sleeping peacefully. I then went to my bedroom. Ran my shower. I had a lot in my mind. I must say. This has been a very eventful day. I thought about everything that happened. I must have been inside the shower for over thirty minutes. I got out and prepared to sleep. Just as I was about to turn off the lights and sleep, an sms came through my phone. As I opened the phone, I noticed that there was three messages. One from Milano, and two from Tankiso’s number. Milano just went on and on about how sorry he was and that he will come see me as soon as he gets back from Bloemfontein. I opened first message from Reatli and it reads: I only got T Mosito, no information on P Mosito. What does it mean? Was T Mosito on Nyiko’s payroll? If so which T Mosito would that be? Could it be My lovely Mr T- Thatego aka Thatz or the late Thatoyaone aka TT Mosito? When I opened my eyes, it was ten o'clock Saturday morning. Yooo, I really overslept. Must have been the berrylicious cocktail that I have been indulging on at the Lebitso Mosito residence last night coupled with my anxiety. I was really knocked down. If it wasn’t for the kokoberries bouncing on my bed, I wouldn’t have woken up. The last minute change of plans I did was costing me my sleep. The initial plan was bridezilla and bridal crew meeting at Norwood with the dressmaker at twelve then afternoon chillas with my younger sister Omontle and fiancée Cya. Now Reatli requested an urgent meeting for eleven o’clock at Norwood mall to talk about last night’s sms. She refused to discuss the details over the phone and insisted that we meet as a matter of urgency. Hence she chose a location closer to where I was heading to, that day. Since I was curious, I agreed. I then phoned Omontle to meet up somewhere in Sandton around ten thirty to drop off her daughter Oratile who was part of the bridal crew and swop cars ( just in case we are being followed). I jumped off my bed and took a five minutes shower. I was really running late for my meeting with my little sister. Thank God, Mamo bathe the kids and they had already eaten their breakfast. As I was finishing getting ready, I asked Mamo to make me my green smoothie for the road. I got to Sandton at exactly ten twenty-one. Omontle was already waiting for me at MacDonalds. We did car swop, and I drove to Norwood mall. Reatli said she will take Tankiso’s phone to communicate in case something happens between her and our meeting. I love Saturdays. Traffic just flow freely. I arrived at Norwood mall ten minutes earlier. Reatli was already waiting for me at Mugg and Bean. I sent big sister Oratile to take the twins to Pick n Pay to buy some stuff. We greeted and I ordered their blueberry muffins and a latte. Reatli already ordered something to eat. I didn’t waste time and asked her why she asked for that urgent meeting? She said whatever she found out about our guy, didn’t need to be discussed telephonically. It needed face to face. Nna: Hau Reatli, all I needed was to know if those people are on Nyiko’s payroll or not. Is there anything more to that? Reatli: Hai Bobs, something is really not right. I am beginning to think that either you are being played or we are dealing with an imposter. Tell me, have you met this person before or recently? Nna: Ehhh why? Is he working for Nyiko? Reatli: No! Not really. You see I did find that Mr T Mosito's name somewhere in Nyiko’s documents. But, the person is not working for Nyiko or with him. Nna: Then he is safe to help us right? Reatli: Unfortunately he was on his own mission to expose Nyiko and was silenced for getting too close. Bobs, TT Mosito died, or should I say Nyiko had him murdered ten years ago because he was investigating him and his office. So, I’m afraid whoever approached you, claiming that he was T Mosito is either an imposter or one of Nyiko’s men. I don’t think we can trust him. Nna: Uhm, well, I think maybe I should find out if he is an imposter or not. My gut tells me that he is legit. Perhaps he shares same initials and surname with his late brother or son or family member. Actually, what if it’s family member trying to make Nyiko pay for TT's murder? Let’s not be quick to write him off, at least let me go do a little research about him, find out his real story and get back to you. For now let me say that I have met a T Mosito very recently so he does exist. Question is, can he be trusted. Reatli: Oh yaa, you might be right. But Bobs we cannot lose focus. Like I said yesterday, all this hard work cannot go to waste because of being negligent or short-sighted. Anyway if this other Mosito is seriously going after Nyiko, it’s understandable. Given how TT died and how his killers got away with murder because of circumstantial or lack of enough evidence. The justice system failed the Mositos. I really can’t blame whoever the guy for his quest for justice. What happened was so unfair. I would also seek revenge against the killers and make them pay. Honestly, Bobs, if this man is legit, I’m prepared to lead him to his brother’s killers. Nna: I just hope he is genuine. What do you mean? Do you know who killed TT Mosito? Reatli: I have been sleeping with him for fifteen long years. You know Bobs, I’ve always known that Nyiko was a cheater and a charming crook in a suit, and didn’t do most things by the book, which wasn’t that big of a deal but the shattering realisation of him having so much blood in his hands makes me so sick. At times I feel like this whole revelation of who and what he is, is just a bad nightmare that I would woke up out of. But day by day I’m reminded of what I’ve been married to, unknowingly so. Now that I know a lot about what he’s done, I can’t just do nothing, otherwise it would make me an accomplice and a willing benefactor of his blood money. I can’t Bobs, not anymore. So the sooner Nyiko Baloye is thrown away to hell, where he belongs, the better and safer I will be. I am now living in fear of what he might do. That’s not life. I know I have been such an unpleasant person especially to you, but ending innocent people’s lives for wealth, that’s so inhuman. So Bobs, I have been thinking hard about this. I don’t want you or myself try to take Nyiko down on our own or be implicated in anything that has to do with his downfall. So I thought we need a mule with a personal vendetta to take him down. If the Mosito guy is legit, I will help him take my so called husband down for good. In that way our hands will be clean but justice would prevail. Nna: Yaa, you are right. We can’t get involved. Not that directly. And in case there are some come backs. Knowing that Nyiko has so much power and support from people at high places, even if he could be found guilty and arrested, who knows what strings he might pull and get out? Then what’s going to happen to you? To us? I fully agree with you, the Mosito guy must be checked out. So tell me, what if he is legit, how are you planning to help him? Reatli: I have enough evidence of Nyiko’s dirty deeds including TT's murder. From the murder weapon, hitman’s details, dates and murder plot, proof of payments for the hitman and everyone involved and paid to make sure that the murder trial case is compromised and the killer escaped free. Everything Bobo. No justice system will deny that. Never! Now, it was up to me to find out how authentic the Mosito brothers were. But a big part of me trusted Milano about their mission to avenge TT's murder. All I needed was to be hundred and ninety percent sure that they could be trusted. If only, Mr Perugia Thatz Mosito Lebitso could come to party and do us the honour of ensuring that the mighty Gold Digger is thrown deep into the golden hell he’s been digging for himself. Three hours later I was at Bryanston spending time with my little sister. My mind was all over, thinking about everything that was happening. All I needed was to just see this Nyiko saga over and buried. It was consuming my life. For some reason I was worried about my relationship with Milberry, especially after last night’s not so comfortable feedback from Mr PT. Earlier on while at Norwood Milano tried to call me but I couldn’t answer. I couldn’t bring myself to even return his call, I was anticipating our chat. Later at home after dinner, I decided to call him. Just as I was about to dial his number, he called me. I picked up immediately. He was just being his bubbly self. We greeted and I asked him about his grandfather’s health. He said unfortunately he was not looking good and that the reason he called them was to somehow say goodbye. He said he was calling all his family in his ward one by one and telling them that his time to rest had finally arrived. We then spoke about us and what happened last night and he asked me to hold on. Few minutes later a different voice spoke on the voice. I immediately knew who it was. Mr PT ka sebele. PT: Look, Uhm I’m not going to lie and say what I discovered yesterday was pleasant but I know I was a bit harsh and harder on you. Ke kopa tshwarelo hle ausi. I really overreacted. I had a long discussion with Lesego and now see things differently. You two are adults and I take that you know what you are doing. I have to respect your decisions. I just hope what happened won’t make you stop coming for a visit. O'nice is already dying to meet you. Nna: Mr T, your reaction was justified. I accept your apology. And no, I won’t stop visiting. PT: Thank you. Tell me, what are you doing tomorrow lunch time? With my wife not around , take- aways are our only option, so maybe we could go eat somewhere? Start afresh and get to know each other better? I have a feeling that you and I have some business we need to discuss. What do you say? Nna: Uhm! Well I had afternoon plans with Milberry. PT: Okay, speak to him and see if you guys could change your plans to lunch time instead. Nna: I don’t mind. Let me discuss with him first and he will tell you if we doing lunch with you or not. We said our goodbyes and he gave Milano his phone. We spoke about his brother’s lunch proposal and decided to do lunch with him. He said he will send me details of the place in the morning. We spoke for a little while about his brother’s change of heart and about us. We said our goodbyes. I was just relieved that Mr T came around. I got in bed. I had a long Sunday ahead of me. An early morning phone call from overseas, church service, lunch date with the Mosito Lebitso brothers and a drive to Bryanston to drop off Omontle’s car and fetch the twins ( they decided to sleep over their aunt’s). I did my usual bedroom routine. Pray and thank God for the gift of life. Aish! Saan!Is this a point where I take off my investigation cap and let Mr PT and Gold Digger's wife finish off? Or should I first speak to PT, earn his trust and then introduce him to Reatli? What now? I have only few days. I say brief Mr T and Millberry first before introducing them to Reatli. Thank you so much Booberry,Am so loving this please keep the inserts coming.